LED (Light-Emitting Diodes) technology represents the evolution of solid-state lighting, in which the generation of light is obtained by semiconductors instead of using a filament or a gas. 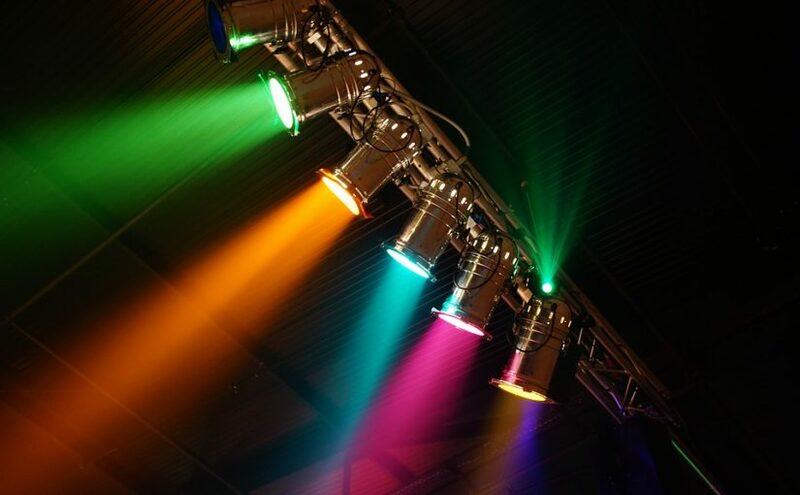 LED Lighting Hire Sydney is more energy efficient, has a longer life and is more sustainable. It also enables innovative and creative usage solutions that integrate light into our homes, cars, stores and cities. The LEDs are destined, over time, to replace traditional incandescent lamps and fluorescent lamps. Thanks to the high illumination characteristic of the lamps and LED bulbs for Lighting Hire Sydney, it is possible to replace with them also the fluorescent lamps (compact or neon) with equivalent to LEDs that consume much less energy, that is power (in watts) decidedly lower, achieving a significant economic savings. For example, it is possible to replace a normal 40 W neon lamp (of the T8 type with a diameter of 26 mm and a length of 120 cm) with a LED tube (consisting of almost 300 small LEDs) that consumes no more than 17 W.
In this case, assuming an electricity cost of 0.15 $/kWh and an average use of 6 hours a day, the annual consumption with the two different lamps would be 87.6 kWh and 37.2 kWh. Therefore, the annual savings in using the LED lamp instead of the neon fluorescent lamp would be 50.4 kWh, and therefore $ 7.5. The LEDs maintain 70% of the initial light output even after 50,000 hours, according to EN50107 standards. This does not mean that we must necessarily replace them after this period, if this reduction does not create excessive discomfort they can be safely used until the complete loss of brightness, estimated at 100,000 hours. 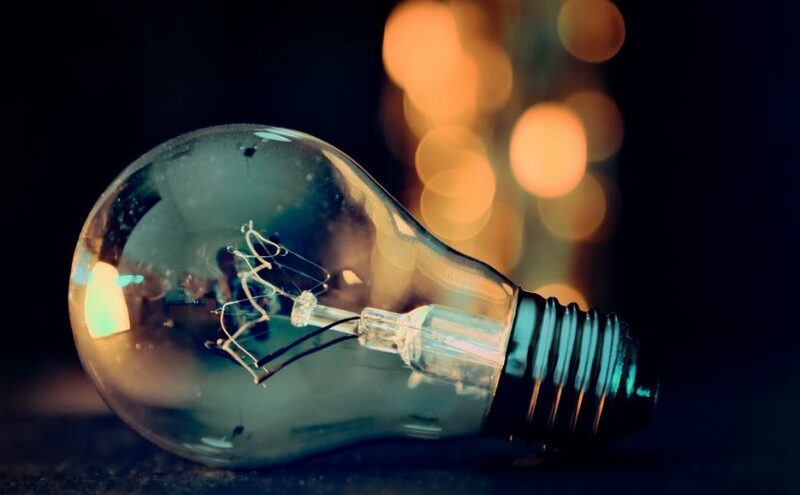 Comparing the duration of the LEDs with respect to traditional lamps and assuming an average operation of 6 hours per day, we note that the average life of a filament light bulb is around 1000/1500 hours (250 days). The average life of a discharge lamp is approximately 4,000 hours (666 days). The average life of a fluorescent lamp is 6,000 hours (1,000 days). The average life of a LED lamp is 50,000 hours (8,333 days). The luminous efficiency of a light source is the ratio between the luminous flux and the input power. The size is expressed in lumens/watts. The luminous flux is defined based on the subjective perception of the average human eye and corresponds to a particular curve within the visible light spectrum. LEDs for lighting represent a very recent technology, strongly developing and subject to continuous progress. T the three-year period 2010-2012 has been a period of considerable progress in the knowledge of this technology and has led to the final resolution of problems related to the luminous flux, efficiency, color rendering and “binning”. Designers are constantly searching for even higher performance in order to replace all traditional light sources with higher energy consumption with low consumption LED products. Optimization of lighting bodies to allow the adaptation of new conveyor lighting sources to all situations in which lighting systems are used. The commercialization of new materials and the new available technologies have made LEDs ready to invade the market on a large scale, the progress in diffusion is fast and constantly increasing. Commercial activities, shops and hotels, but in general all those activities with ample opening hours to the public, were the first to grasp the value of the multiple benefits offered by this new technology and today drive sales of LED products worldwide. An important part, in fact, of the current market of LED products is constituted by the simple replacement of old bulbs on already existing plants with new bulbs with higher performance (Retrofit or Regeneration). To date, this is actually the fastest and most economical operation to reduce electricity consumption for conveyor lighting in a short time without having to deal with much more expensive modification work on the electrical system and the lighting system. 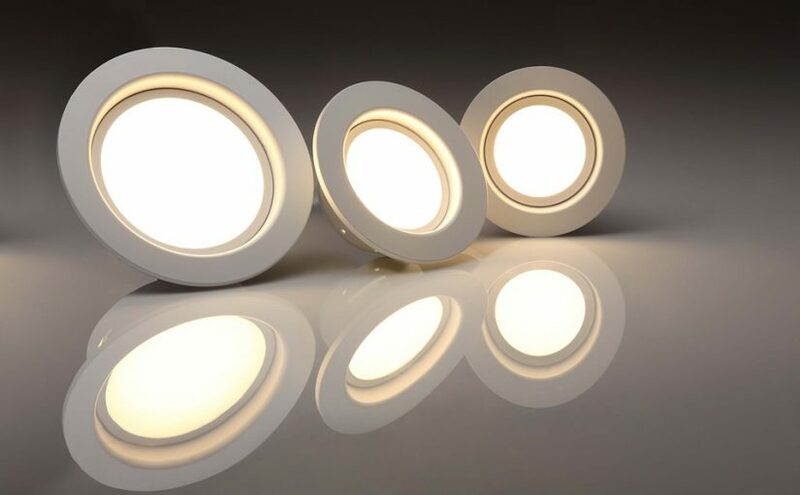 The LED is a very high efficiency source (100lm/W) which allows a high energy saving compared to all incandescent sources. The average life, up to 20 times higher than traditional lamps, makes it the source with the lowest maintenance cost. The life of the LED is around 50000 hours when applied in confined spaces, as in built-in appliances or for retrofitting, against the 20000-30000 hours of traditional sources. In open spaces, as for outdoor applications, the service life may be even higher. All this involves less frequent maintenance and replacement. Throughout his life he has the highest color stability and allows the widest choice of light shades in lighting. No light emission in the infra-red and ultraviolet bands with consequent reduction in the quantity of heat produced, light beam without damage to health and suitable to illuminate even the most delicate objects. Instantaneous ignition and high variability of the power engaged according to use (dimming). Allows extreme freedom of design to manufacturers thanks to the minimum size of the LED chip. The process of a lighting audit in Oregon starts with the inspection of the site and plant. All available lights are inspected to ensure the lighting levels are not too high or too low. The auditor checks if the lights are left switched on without purpose. Low light condition in areas where staff has to visit or work can affect productivity and safety. The height, location and number of light fixtures are recorded in the audit report. Light intensity metering devices are used to take detailed records of illumination levels in different areas. Both working and surrounding areas are investigated. Audit inspectors determine if some areas will benefit from switching to task light in place of general lights. By just decreasing the height of some light fixtures, the task areas can be illuminated better. When lighting is delivered only to the targeted areas, it helps reduce the illumination and electricity requirements. Workers can view the tools, equipment, parts and workpieces clearly. It increases safety at the workplace. The auditor identifies all such areas where such improvements can be made to improve safety and productivity. The auditor offers expert opinions on possible modifications and improvements. The goal of a lighting audit is to ensure an energy efficient lighting system without affecting the workplace productivity. Even occasional cleaning of the lamps and light fixtures helps improve illumination. The business owner should have an effective lamp cleaning and maintenance program in place. It helps improve the lighting condition without any additional investment. It is important to use lamps and fixtures that continue to provide their maximum output illumination even at the end of their life. Some types of lamps like fluorescent lamps work only at 70% of their rated illumination at the end of their life. It can reduce overall lighting levels and require more lamps. LED lamps with higher energy efficiency and longer lifespan can be installed to overcome this problem. The illumination level of an area is affected not only by the lamps but also by the colors used on the walls, ceilings and floors. The colors, numbers and types of items kept at a place also affect the indoor illumination level. There should be proper contrast in all areas where safety is important. Some organizations take into account daylight coming indoor through the windows, skylights and glass walls. However, the daylight coming through these openings and sheets may not be illuminating all parts of a room. Proper analysis is needed to ensure effective and even lighting all across the room. Good lighting is necessary to ensure higher productivity and safety at workplaces. The lighting audit in Oregon is carried out to find flaws of the current lighting system and suggest improvements. The report helps devise better, more energy efficient and least expensive lighting strategies for the workplace. 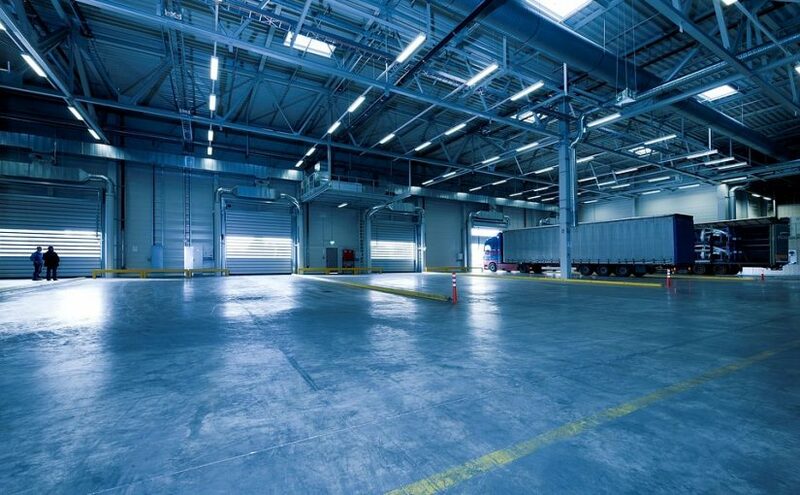 High-quality lighting is a must-have in industrial and warehouse facilities to ensure activities run smoothly and to guarantee workers safety. Apart from complying with safety and material code standards, an ideal industrial lighting system should be able to withstand harsh environmental conditions such as humidity, extreme temperatures, vibrations and corrosive substances. 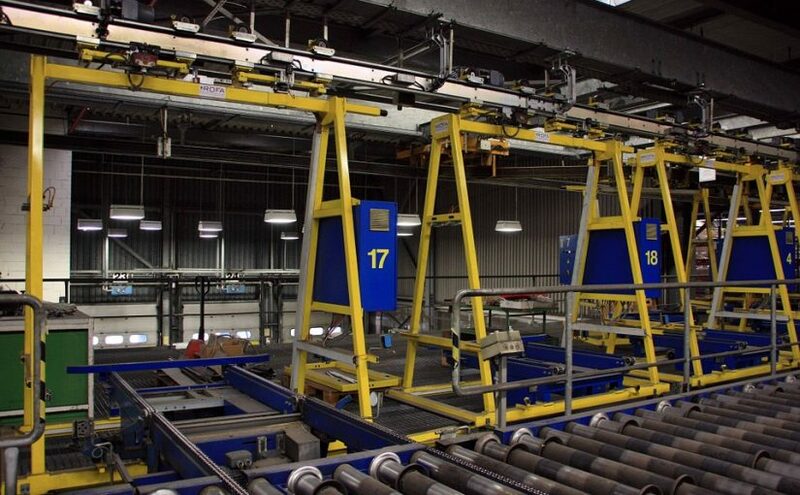 This guide sheds light on the factors you need to consider when choosing conveyor lighting systems. Today, warehouse facility managers have technology to thank for the vast array of lighting options and equipment available on the market. LED systems are suitable for warehouses and industrial facilities because they consume only a third of energy and require 90% less maintenance than traditional lamps. The fact that LED systems can have up to 50,000 hours of useful life makes them a worthwhile investment for manufacturing, warehousing, processing and mining sectors. Lumen rating is defined as the amount of light that a light source is capable of producing. The level of illumination desired often depends on the nature of the task at hand. A typical conveyor belt requires roughly 40 lux of light. It is imperative for manufacturing, processing and mining plants to maintain an excellent level of illumination at all times. Having sufficient illumination can significantly reduce accidents and improve productivity in industrial sites. Colour rendition is crucial in the food and beverages processing sectors. Colour rendering refers to the ability of a light source to represent the true colour of an item accurately and is often measured using the colour rendering index (CRI). Investing in a high colour rendering lighting system allows workers to perform their jobs effectively while guaranteeing the essential quality of food and beverage products. Due to the nature of their working environments, conveyor luminaires should be able to withstand extreme temperatures, dirty power, corrosive chemicals and vibration from heavy industrial plants. Voltage and current fluctuation is a common problem in many industrial sites. These spikes in power often occur due to lightning strikes and a multitude of defects in power devices. Prolonged exposure to dirty power can compromise the performance of your industrial lighting system. You should, therefore, consider investing in a resilient conveyor power solution to counteract the effects of dirty power use. Where extreme temperatures of above 50°C are involved, consider luminaires that employ advanced vapour chamber-based cooling. Nowadays, thanks to the use of occupancy sensors and timers, it is possible to adapt your lighting equipment to your working environment. The advantage of having an adaptive lighting system is that you can track real-time power usage as well as maintenance data. Consider investing in conveyor luminaires that have the adaptive and remote monitoring features. UV light falls into the ultraviolet light category and gives off high frequencies of UV light, which makes it incredibly effective at killing off viruses, bacteria, mold and a variety of other pathogens. Germicidal wavelengths of between 185 and 254 nanometers are needed to effectively kill off bacteria with UV light. This method of disinfection started in mid-20th century and is increasing in popularity since it offers safe and affordable solutions to an incredible range of municipalities and industries. UV light does not have any of the health hazards that are present when using harmful chemicals, because it eliminates entirely, the production of disinfection by-products and corrosive materials. Where and how you want to use it, will determine which type of lamp will suit your needs best. How long does it take for the lamps to kill off bacteria? Depending on your particular needs, any germ that is within 6 inches of the lamp will be dead in ten seconds. 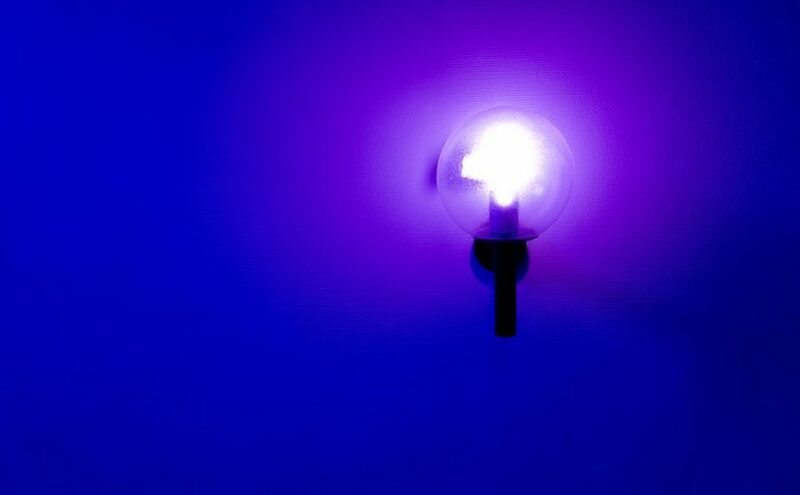 Why are UV lamps better than other germ-killing techniques? Can the lamps be used in residential properties? Ultraviolet fixtures can be used just about anywhere including private homes, laboratories, hospitals, doctors rooms, clean rooms, food processing plants, commercial buildings, as well as any other residential and commercial environments. In fact, these particular lamps can be used in any environment where there is a need for clean air. Depending on where they are used, UV Light Germ Killers, as long as they are checked and cleaned about every three months or so, will provide up to 17,000 hours of clean and germ-free air in any environment. Choosing the right light fixture based on the ceiling height and the room’s purpose can transform a boring room into an inviting and useful expanse. Though easily overlooked, ceiling lighting is a design element capable of affecting a room’s style and ambiance. This aspect has seen to the rise in the popularity of LED Ceiling Lights. A LED light is an electric light that illuminates using light-emitting diodes and has a greater electrical efficiency and longer lifespan compared to fluorescent and incandescent light. Henry Joseph’s invention in 1907 and Bernhard Gudden and Robert Pohl’s invention in 1920 were an observation of the concept of electroluminescence which was later coined in 1936 by George Destriau. The inventions emitted a yellow faint light which was practically useless. With further research, Gallium Arsenide’s development became the first patent of a LED with a practical use. In 1962, Nick Holonyak Jr. invented visible red light LED earning him the title “Father of the Light Emitting Diode.” In 1972, Craford of Monsato Company made LED’s emitting pale yellow light and LEDs ten times brighter than Holonyak’s version. Continuous and meticulous research led to the development of first generation of super bright red, yellow, green, blue and white LEDs. LED lights are presently cost-effective and can be installed on a large scale. DIP LEDs are commonly found built into electronics due to the diminutive size and can only emit limited amount of brightness. SMD LEDs are brighter and smaller than DIPs making more versatile in terms of encasing the LEDs with smaller electronics or across different types of lighting. Installing up to three diodes on a SMD chip can create a range of different colors, offering the customer a greater variety. The COBs are the brightest as one can install up to nine diodes on a chip, improving the brightness-to-energy output and thus increasing lighting efficiency. However, due to the circuitry makeup of the COB LED chip, it is impossible to emit an electrical range of different colors. LED lighting uses up to 80% less energy than incandescent and halogen bulbs. Although it may vary based on the type of fitting chosen, LED lighting still remains lead in terms of efficiency. LED lighting is far greener than traditional lighting and is most suitable for one seeking to meet government energy quotas. LED bulbs and spotlights last far longer than other bulbs with a 15-year average lifespan, saving on recurrent bulb replacements. Whether you are looking to brighten your bedroom, hallway, living room, bathroom, kitchen or even your outdoor area, there are hundreds of wall light fixtures that you can choose depending on your specific need or goal. While wall-mounted lights are highly useful in rooms with low ceilings, they can also be used to add a specific effect such as ambient light, simple accent or as a task light in any room. However, choosing the perfect wall light fixture for your room is not straightforward as you must sort through the hundreds of styles and designs as well as many hidden considerations. The goal should be to find the perfect light that complements the architectural design of the room, decorations, space and any other lights including ceiling lights if available. When the wall light is well chosen, it will not only add lasting aesthetic value to your home but it can serve any functional need that you may ask of them. Therefore, choosing the right wall light fixture is totally dependent on your need whether you are looking to read a book, to set a mood, to add elegance or simply to light a hallway as well the light type or design of your preference. Wall mounted light fixtures come in many types that include sconces, torchieres, miniature fixtures, multilight sconces, swing arms, picture lights, outdoor wall sconces and track lighting among others. A sconce refers to a wall fixture with one arm that extends to the bulb and has a cloth, glass or porcelain housing. The torchieres position the light source closer to the wall and have shades that point upwards creating a unique type of light. The miniature fixtures are perfect for diminutive spaces such as closets or spaces that require clustered lights such as laundry rooms. The swing arms offer the combined flexibility of the torchieres and sconces as you can move the light from or closer to the wall as you want. The multilight sconces are highly used in the kitchens and bathrooms and contain two or more bulbs. In addition to the types and lighting needs, you must also ensure that the lighting is in proportion to the wall space the light will occupy and the size of the room. If the wall lights are for accent or task lighting, you should accompany them with other light sources for adequate illumination. It is also important to consider the controls and dimmers. Choosing a light that is dimmable makes it suitable for a wide range of applications. 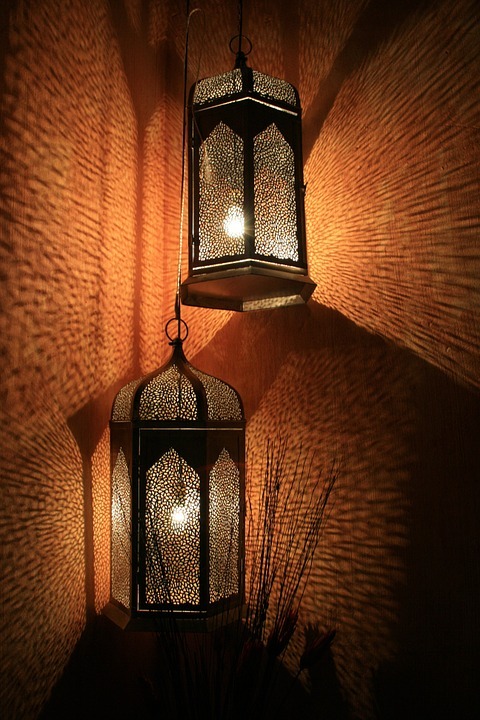 Wall lighting is ideal as a complement for extra illumination or for any home with low ceilings. However, you must ensure that the light meets your lighting needs while complementing the overall beauty of your home. Your home is where you spend the most precious moments of your life in. This is why people go out of their way to make their homes look as beautiful as possible. People from all walks of life enjoy making their homes look and feel nice. This includes decorating it with stylish and comfortable furniture and also keep it clean and tidy. The lighting in your home is just as important in in many cases, forms part of your decor. It is also extremely practical and with the flick of a switch you can have instant brightness in your home, whether it is day or night. There are many different types of lights available. 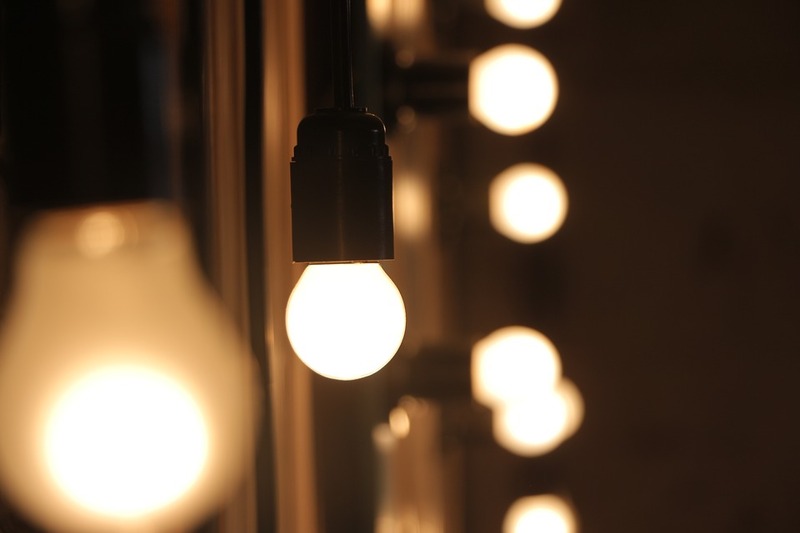 The most commonly used since decades ago is the incandescent light bulbs. These are ideal for the home and have gained popularity due to their warm yellow light that makes it perfect for inside the home. It really does give the home that cozy feeling that everybody longs for. However, the thing with incandescent light bulbs is that it can really ring up your utility bills. It takes an enormous amount of energy to power these light bulbs which is perhaps one of their biggest drawbacks. LED light bulbs are the new incandescent lights in homes. Previously only used in offices and other public buildings, due to its bright white light, LED light bulbs are now being used in homes a well. The fact that the LED lights are now available in warm yellow or warm white tone has also influenced home owners to use it in their homes. The other benefits of LED lights are that it saves you money on your light bill since it only needs a few watts to light up a room as compared to incandescent lights. Another benefit is that it lasts for years. Some of them have a life span of over twenty years. It is these benefits that have caused many people to move from using incandescent lights to using LED lights. LED lights are now also available in various colors, so you can use any color you like in your bedroom, living room or your entertainment area outside your home. The different colors also help to enhance or set the mood in your home. If you are not sure of what type of bulbs to use in your wall or ceiling lights, take a look at the different options out there. Find out all you can about each suitable type so you can make a well informed decision.